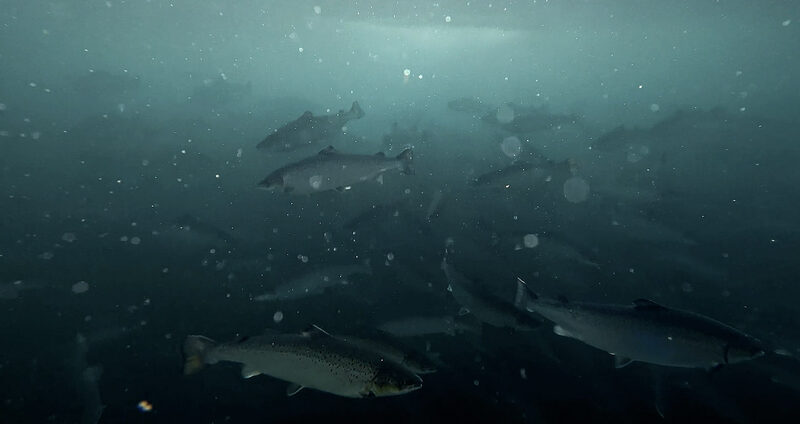 Let nature have the benefit of the doubt Future of fish farming is in closed containment and land based farms Let’s encourage Iceland’s government to lay the foundation for sustainable fish farming in closed containment or land-based farms. I challenge the government of Iceland to create a policy establishing a sustainable fish farming industry that exists in harmony with nature. This goal is achievable only through the utilization of closed containment farming systems, whether in sea or on land. Open-net pens are unsustainable. Fish inevitably escape, challenging the integrity of wild stocks. Parasites, pollution, and waste are also freely released into the surrounding environment. Fish farming in open-net pens will irreparably damage Iceland’s ecosystems, as well as the country’s pristine image and reputation. Iceland has a great opportunity to utilize its natural resources and the latest technology to create a strong fish farming industry that the country can be proud of, all the while promoting unity within the nation. The government shall halt issuance of all new licenses for open net pens while encouraging the industry to develop sustainable alternative farming methods. This can be achieved with economic incentives such as discounts of public levies. 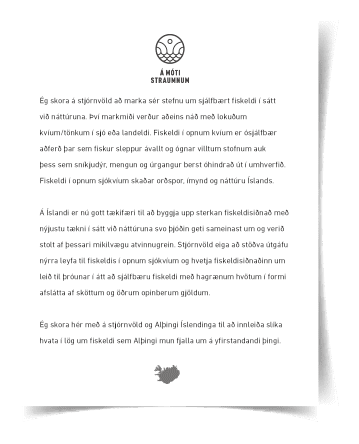 I hereby challenge the government and the Parliament of Iceland to incorporate these measures into the Act on Fish farming, which will be presented this Parliamentary session.